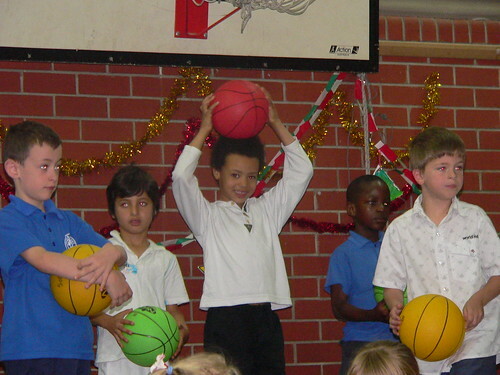 Yesterday JJ had his school end of year concert. These things are always at an inconvenient time because of my work but I managed an hour or so off and luckily they were on second which made the whole thing fairly bearable. 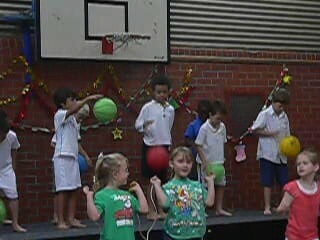 I recently found out that it’s only Junior Primary who have an end of year concert so I’ve one more year of this to go. When I went to primary school we had our end of year concerts in the local town hall and they went for the entire seven years of primary school. This afternoon is his end of year circus school show. Clown costume is at the ready and I’m pretty pleased with what I managed to improvise. Photos to come of that! If you haven’t already don’t forget to take part in my giveaway. Details are here. My son had his the other day. I was a bit annoyed by the other parents to be honest. I mean, we all know you’re really only there to see your own kids but come on, a bit of applause for the other classes isn’t going to kill you! Hope JJ had a blast at his. That is great! Our whole school concert is next Wednesday and we have been assured it will run a bit closer to time this time around – last time it went past 11pm and we were all a bit over it by then!! Yesterday we had the class one… I forgot my camera, but was blessed with no view of my daughter whatsoever – at least I could hear her voice. I think JJ enjoyed his concert. At least it’s the one time where he’ll keep his trap shut and do what he’s supposed to do. There was plenty of applause at the acts I saw. Jeanie, 11pm is way too late for kids and for parents. There’s gotta be a limit ey? We have the ‘toddler room’ Christmas concert next Friday afternoon at daycare. At that age its still really funny, and it lasts less than 10 mins! M&B – that sounds so cute. I love that they get into it and really like the applause and so on.